WIM Alexey Root is a former US Women’s Chess Champion among many other distinctions. She has a Ph. D. from UCLA in Education,and is a lecturer at The University of Texas at Dallas. Alexey has written 7 books about chess and education, and is also a frequent writer for US Chess and other publications. In our interview we discussed collegiate chess in the U.S, how opportunities for female chess players have changed, plus the important topic of what chess parents can do to help safeguard their children. 0:00- Intro and discussion of college chess in the United States in general, and at University of Texas at Dallas (UTD) in particular. The Final Four of College Chess just concluded, with The University of Texas-Rio-Grande Valley emerging as the winner for the second consecutive year. The other participants were Webster University, UTD, and Harvard University. 11:00- How did Alexey decide to pursue a PhD in Education? 18:00- We segue into a discussion of approaches to teaching chess to very young students. Elizabeth Spiegel’s Chess Educator of the Year speech can be seen here, and Jeff Bulington’s here. 21:45- Alexey will be a featured guest in the Girls Club Room at the US Chess National Junior High Championship- go say hi to her-if you are there. How has the world of Women’s chess changed during Alexey's career? Will strong female players like Hou Yifan and newly crowned US Women’s Champion Jennifer Yu pursue chess professionally? 33:00- Chess books! What are Alexey’s favorites (other than her own books)? Alexey was nice enough to provide a list of her favorite books- you can find it at the bottom of this description. 44:00- What advice does Alexey give to chess parents? Alexey stresses that the #1 priority should be child safety! Alexey has written movingly in the past about how being a victim of sexual abuse framed her experiences as a parent and teacher, and I really appreciate her willingness to talk about this important subject. 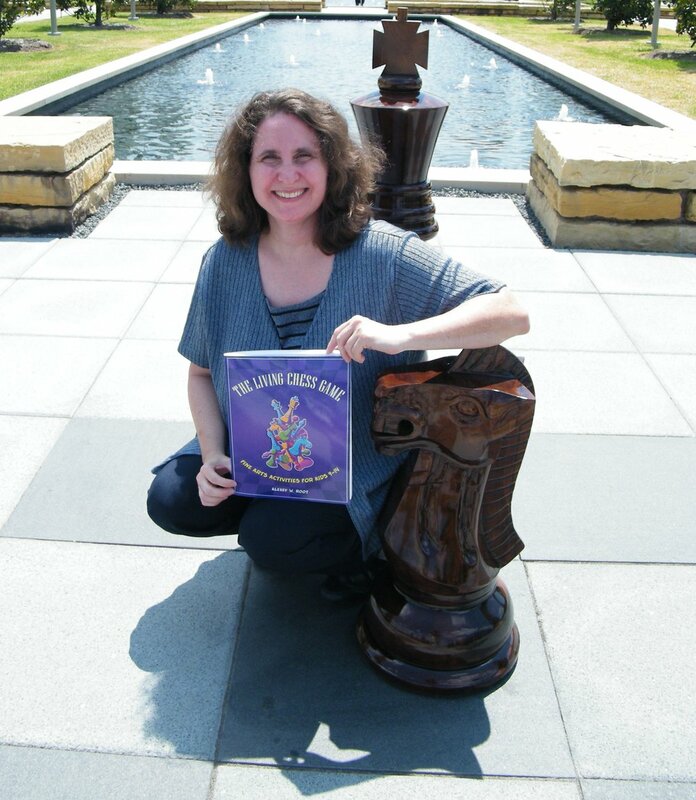 56:00- How did Alexey get her first chess book published? Piggybacking off of John Hartmann’s advice, Alexey also gives advice on how to (eventually) find paid work as a chess writer. Alexey is also quite forthcoming about the compensation one can expect as a chess writer. 1:07:00- Goodbye and contact info! Keep up with Alexey’s writing here, email her here. Follow her on Facebook here. strengths in children and teens. New York, NY: Broadway Books. Bain, J. (1994). Chess rules for students. Corvallis, OR: Learning Plus. Bosch, J., & Giddins, S. (Eds.). (2008). The chess instructor 2009. Alkmaar, The Netherlands: New in Chess. Garrow, S. (1983). The amazing adventure of Dan the pawn. New York, NY: Simon & Schuster. Kidder, H. (1990). The kids’ book of chess. New York, NY: Workman. for players new to the game. New York, NY: Fireside. Shulman, Y., & Sethi, R. (2007). Chess! Lessons from a grandmaster. adventures . London: Everyman Chess. Eade, J. (2016). Chess for dummies (4th ed.). New York, NY: John Wiley. Polgar, J. (2012). How I beat Fischer's record. Glasgow: Quality Chess. Sadler, M., & Regan, N. (2016). Chess for life. London: Gambit Publications. Wolff, P. (2005). The complete idiot’s guide to chess (3rd ed.). New York, NY: Alpha Books.